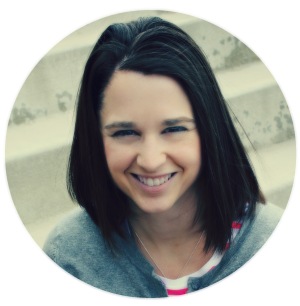 I'm excited to be guest blogging with Ginger at Ginger Snap Crafts for her Christmas Break series! I'm a HUGE fan and so grateful to be sharing a quick & easy project with you guys today. So the holidays are fast approaching and I feel like I'm running out of time to get new Christmas projects completed in time for our upcoming parties. 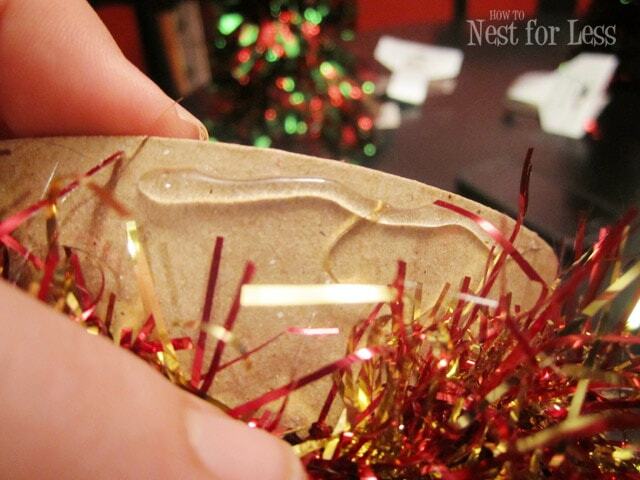 So how about a quick splash of holiday décor? Voila! 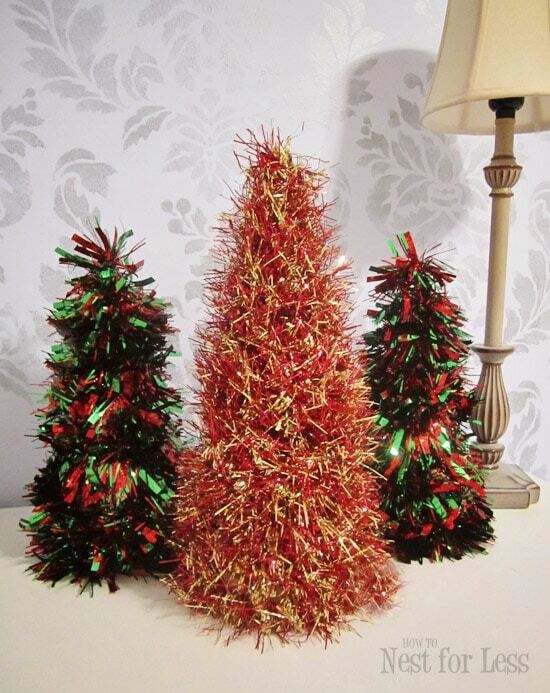 FIVE MINUTE TINSEL TREES! Oh how I love the Dollar Tree! 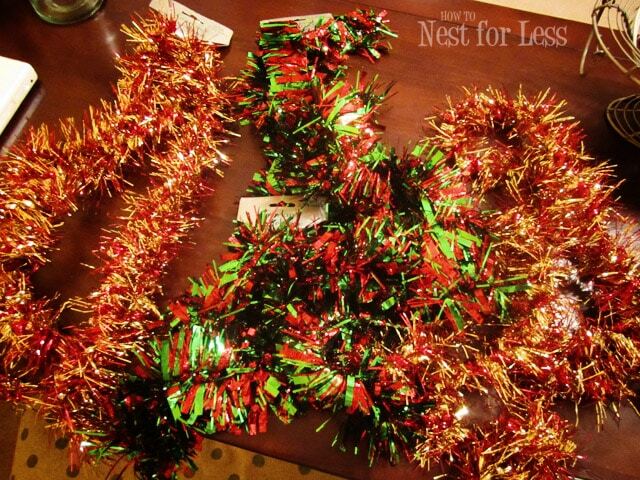 While wandering aimlessly through the aisles the other day to kill some time, I spotted some 9ft tinsel garlands that were screaming for a cheap project. 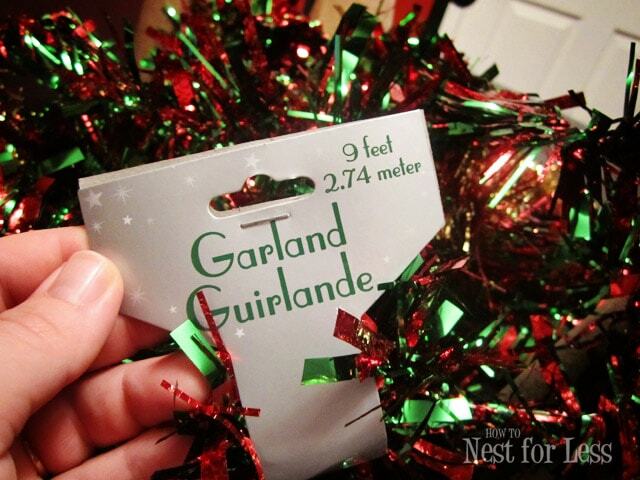 I scooped up 4 garlands (2 red and green, 2 red and gold). 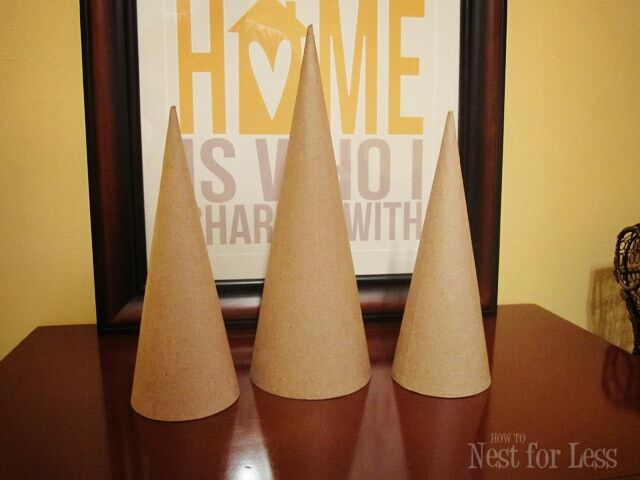 I found some cheap cardboard cones from Michael's in the Christmas section. 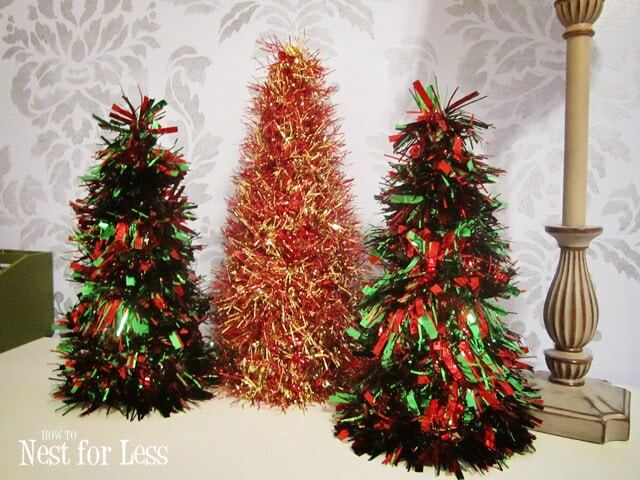 I picked up two small and one large and planned to make some cheap & fun tinsel trees! First thing I did was get out my hot glue gun. 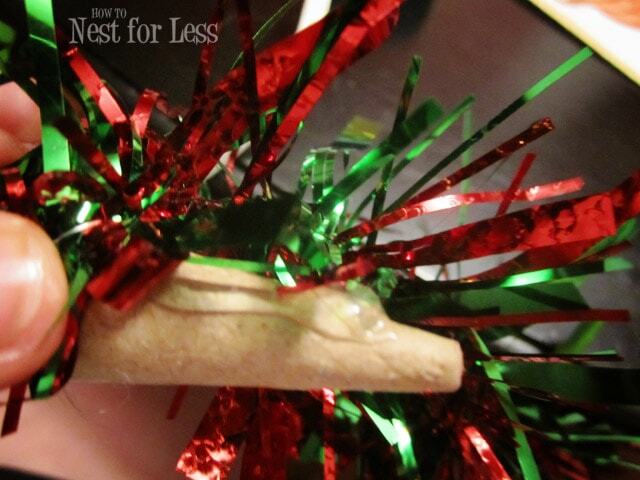 I glued one end of the tinsel garland to the top of one of the small cones. 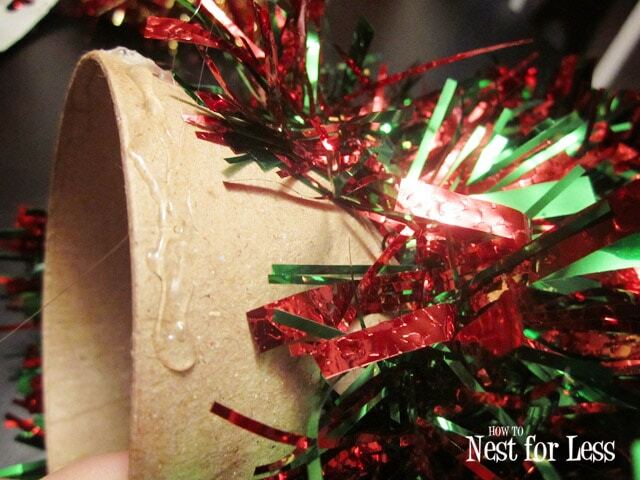 I then wrapped the tinsel around the cone all the way to the bottom and glued along the bottom edge. Once the glue was dry, I went back and glued the loose midsection of the garland to the base. Much easier to space out my tinsel this way! And that's about it! Super easy 5 minute project! The best part? 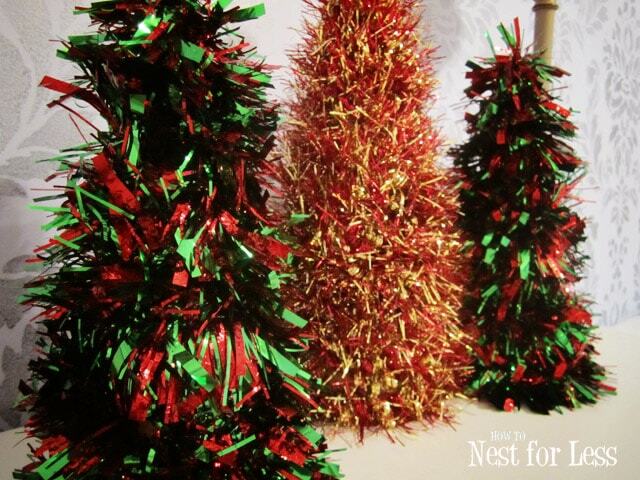 All three Christmas tree cones cost less than $8! 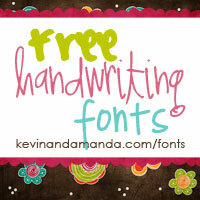 These are absolutely perfect to scatter around the home, use as a centerpiece or end table décor. I actually have mine on huge candlestick holders on my fireplace hearth. LOVE. Well, thanks for letting me share a new project with you guys! And Ginger, thanks so much for inviting me to Ginger Snap Crafts for the day. 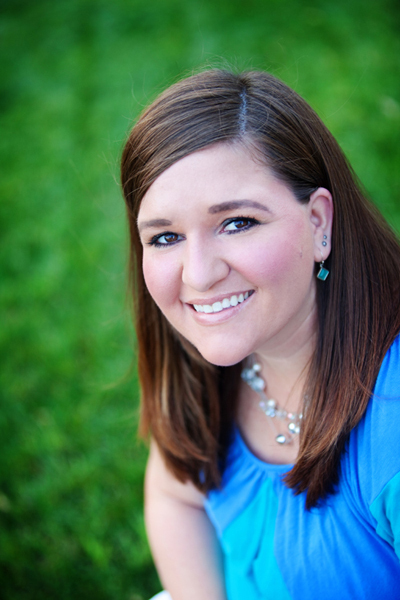 Erin is a St. Louis based designer, wife, mother and author of the blog How to Nest for Less.